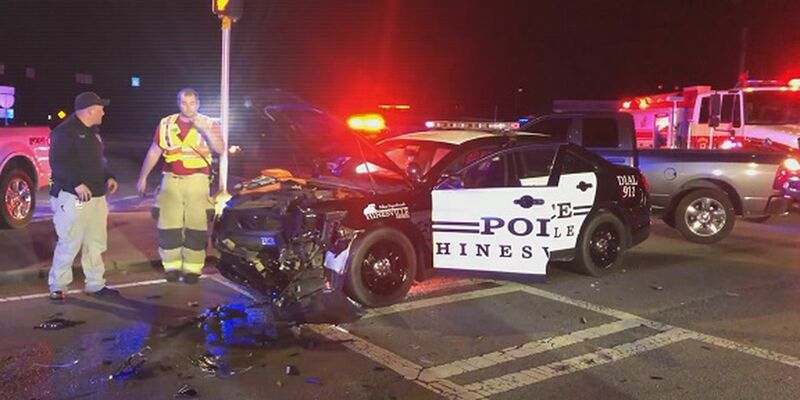 HINESVILLE, GA (WTOC) - A Hinesville police officer is in the hospital after being involved in a wreck Tuesday night. The Coastal News Service says it happened at the intersection of Highway 17 and 84 in Midway. A Georgia State Patrol trooper says just before 10:30 p.m., the officer was coming across the intersection when a vehicle pulled out in front of him. The female driver of that vehicle has minor injuries and was written a citation.